The Shell Seeker at Sparrow Pond Sparrow Pond Community Pool The Shell Seeker at Sparrow Pond The Living Room offers lots of space. High-end Kitchen with Wolf Range, Sub-Zero, etc. Plenty of Room for Family Dining The 1st Master Suite, with King Bed and Private Bath Master Bathroom with separate Tub and Walk-in Shower The Master Bathroom The 2nd Master Suite, with King Bed and Private Bath The 2nd Master Suite, with King Bed and Private Bath The 2nd Master Private Bath Twin Bedroom with Private Bath Third Private Bath Screen Back Porch with Landscaping Lights The Back Deck - with Outdoor Grill Beach is a 5 minute walk from the cottage Bohicket Marina - Located just off Kiawah. Shops and Restaurants at Freshfields Golf at Cassique Bike Riding - over 30 miles of Bike/Leisure Trails Crabbing in Kiawah's Lagoons The Sanctuary Lawn ready for July 4th Kamp Kiawah is available for kids 3-11 yrs. 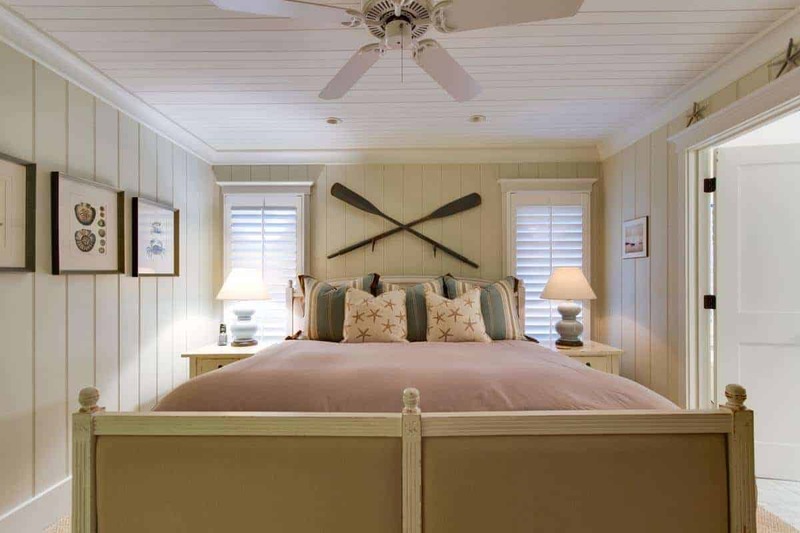 Welcome to the Shell Seeker at Sparrow Pond, a beautifully decorated beach cottage tucked on a quiet cul-de-sac on Kiawah Island. With its recent renovation, this vacation rental features a fresh, barefoot vibe that encourages you to get comfortable. "What can I say but GO! Go now to Kiawah Island. We stayed at the “The Shell Seeker at Sparrow Pond” in May 2018. The house is fantastic! It was a perfect layout for two couples (two master suites) and a third bedroom for kids with the third bathroom. The screened in porch was a great place to start the day. Claw foot soaking tab was a great way to end it. The kitchen was phenomenal. Top notch appliances, perfect layout and great stove. This beautiful house was in a quiet area and close to a great beach. Make sure and rent bikes for the beach and bike trails. Shawn and Jeanette Lawson were great to work with for the renting of this property from Kiawah Island Getaways. We will definitely rent from them again." "This property was better than the pictures. The kitchen was beautiful and useful. The shower in the master bedroom is amazing. We had a great stay!!" "Wow is all I can say! This rental had everything you would ever need or want! When we arrived there was lovely music playing and there were fresh flowers on the counter. The condo was so well decorated! Everything was so comfortable and plush! The sofa and chairs were inviting and the dining table for six was perfect! We couldn't have been happier with the appearance and cleanliness throughout. 🙂 The kitchen was Amazing! I'm a foodie so I'm hard to please. They had 2 different coffee makers, an amazing wine opener, a micro plane, a chopping knife and so much more. Everything was so organized and well appointed. The towels were so fluffy and wonderful and the bedding made you want to sleep until at least 10am every morning. The sheets were so soft and the comforter as well. Jeanette and Shawn even had a beach bag and cooler ready for us on our excursions to play in the sun. We called with one question while we were there and I spoke with Shawn personally. He had the situation handled within the hour. They have put together a binder with any possible question you might have and it was so well thought out and organized as well. There is not doubt WE WILL BE COMING BACK! This was a girls trip we will never forget! Thanks Jeanette and Shawn for an amazing stay. What a fantastic trip! Can't wait for our next one." "We rented the Shell Seeker for a Thanksgiving getaway and couldn't have asked for a better experience! Five of us felt at home at the Shell Seeker as the home was flawless. From the moment we walked into the home, we knew the preparation that Shawn and Jeanette had put into it. They did an amazing job! As first timers to Kiawah Island, we were very impressed, and definitely recommend lunch/drinks at the Ocean Course Club House for anyone staying here. Thanks again Kiawah Island Getaways!" "We were extremely pleased with the Shell Seeker! My husband and I, along with another couple, stayed at the Shell Seeker for a long weekend. Our goal was to get away from the kids and just RELAX. We didn't care if we stepped foot out of the house the entire weekend. I don't know about you, but I can't relax if my surrounding aren't pretty. The house is beautifully decorated which made it very easy for me to relax just by staying there. The living room furniture was comfortable, beds and linens were nice, bath room was amazing, shower head was awesome, kitchen was high end and well stocked. The porch furniture was actually pretty comfortable, too (more so than it apears in the photo.) Check-in and check-out was a breeze. We did venture down to the beach a time or two. We drove rather than walked because we didn't know exactly where we were going. It seemed like a 30 second drive to the closest beach access; walking would have been totally fine. We would most definitely consider returning to the Shell Seeker. Over all it gets an A+! We ate at the Jasmine Porch which was pretty good. The Ryder Cup Bar at the Ocean Course had one of the most beautiful views. The food was not much to talk about (probably because I ordered the wrong thing), but we would go back just to get to sit on the porch on the 18th hole and look at the ocean. The Wild Olive, about a 20 minute drive, was hands-down our best meal in a long time. " "We just returned from a week at The Shell Seeker on Sparrow Pond. This was our first time at Kiawah, and first time renting a house. We are now "hooked." The home was exactly as photographed: very warm and inviting, and the common areas and bedrooms were so comfortable and had everything we needed. There are fun games and puzzles, which we played every day (our boys are 9 and 12), lots of movies for all ages, washer and dryer, and one of the three bathrooms has a large showerhead, which is excellent. Be sure to have bikes delivered, because for us, that made our trip even more of an adventure, as we biked everywhere, almost every day! Shawn and Jeanette were very accomodating when we contacted them in advance; and when we arrived and asked them to fix the dryer, they did so quickly. We highly recommend Kiawah Island Getaways and this home in particular. The location is great as you have privacy but are close to the Straw Market, which houses an art studio (Turtles Nest) for the kids (they made lovely fused glass pieces, and painted pottery) and Southern Kitchen for breakfast, and of course, you can ride your bikes there. Freshfields is farther, but within biking distance (if you have stamina), or a short car ride, and dinner at Hege's is very good (resort casual). Kayaking with a Naturalist (Anna is awesome) on Mingo Point was a highlight, and very closeby. Dolphin watching at low tide on the tip of the island was fun, and only about a mile's walk or bikeride round trip from the entry to the main beach after entering Kiawah. Tomasso's for dinner-Turtle Point (resort casual) is a must, in our opinion, and lunch at Ryder Cup Bar (fish tacos) will give you fuel to do the very best shell hunting out beyond the 18th hole of Ocean Course. Spectacular scenery. Unparallelled on the island. We will be back!" "This was our first visit to Kiawah and we had a great time. The home is just as pictured on the website. It reminded me of a home that would be featured in Cottage Living magazine. The decor is very tasteful, kitchen appliances were top of the line, the shower water pressure was awesome, comfortable bedding, etc. When originally booking, I kept being drawn back to this property because it appeared to be so well maintained. My only concern was the walking distance to the beach. If you are in good shape and don't carry too much stuff, it really is not a problem. I timed my walk from doorstep to chair in the sand and it took me 10 minutes. The walk is mostly shaded and it really was not too bad. Our teenagers rode their bikes each time and just chained them at the parking area across from the boardwalk, making the trip even a little shorter for them. Check in and check out was super easy. I liked the fact that they had a code for the door so there were no keys to keep up with. You will not be disappointed with this rental." "My husband and I have visited Kiawah several times over the last 25 years and this one was the best. We met our daughter and her family here to get in one more week of summer before the school season starts. When we arrived, we could not have been happier when we walked inside the cottage. 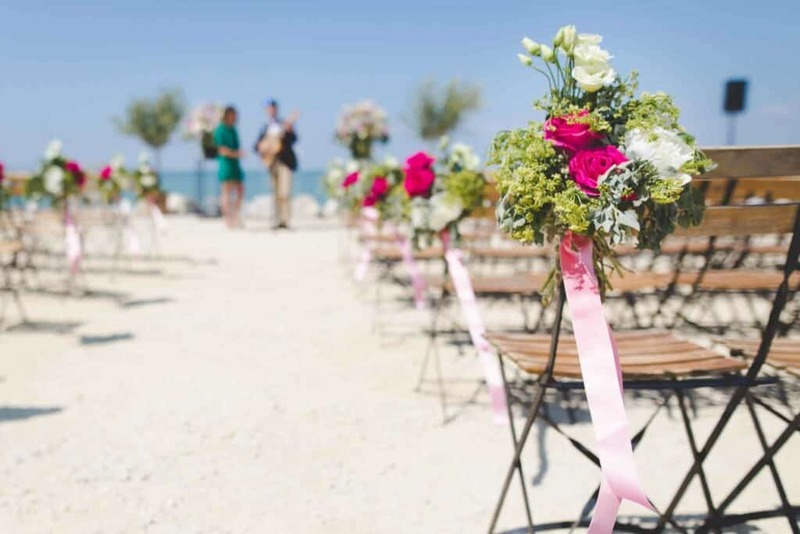 It was just as beautiful as the pictures on the website and so tastefully decorated. Shawn and Jeanette answered all of our questions before we even asked them with the information provided in the binder on the kitchen counter. Their restaurant suggestions were right on too as we tried Husk and Magnolias in Charleston and Tomasso's on Kiawah. They were all terrific! We highly recommend the Shell Seeker and hope to come back soon." 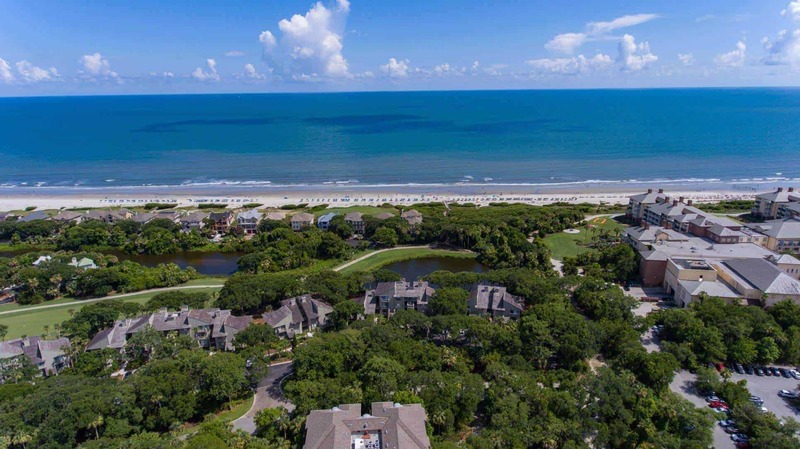 "When my sister and I started our search for a Kiawah Island rental, we kept coming back to the Shell Seeker and are happy we did. We loved everything about the property, especially the furnishing, linens, and well-equipped kitchen. It felt like we were a quest in their home and not a rental property. They supplied us with everything we needed for the week -- shampoo, shower gel, laundry detergent, etc. We can't say enough good things about our experience with Kiawah Island Getaways. Thanks for a great week." "We were so pleased with our choice to stay at the "Shell Seeker". Our priority with small children ages 1 and 3 was to have somewhere clean that the kids could crawl and play freely. With the high end touches and quality furnishings we truly felt at home. It was so nice coming back from the beach/pool to such a cozy and accommodating place. We had a great time on Kiawah and will surely be back! "